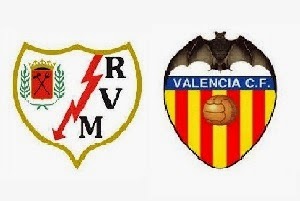 Rayo Vallecano is hosting Valencia in Spanish Primera Division. Guests are not the best team when they are away from home according to statistics, but they played with some of the best teams recently. Valencia is playing nice football and when they meet opponents under the 10th place they usually win these games. Rayo Vallecano is the team with most goals in their net - 61 total! They are not doing well with teams above them, which is the case with the guests. Their last two games were won by Valencia. I don't think they will have problems with scoring and keeping the lead in this game, but if they do half of the money will be returned.So the risk is smaller with this bet.